This bed size quilt uses Kaffe Fassett fabrics. 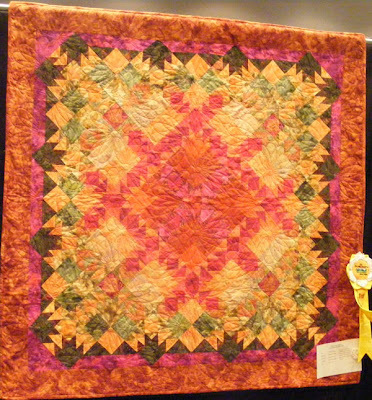 There were so many talented quilters sharing their work! I'm glad we got to see them. gorgeous. 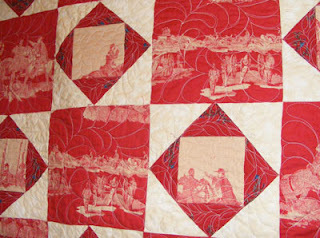 I thought the first picture was a card you made inspired by the quilt. Hmmm, wonder if you could print that picture in card size and use it as a background?? Would be very very pretty. 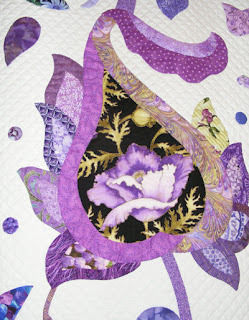 Thanks for sharing - love to look at handmade quilts. Gorgeous quilts, what a wonderful way to spend the day. Oh, I wish I were near where they had a quilt festival! I just adore them! I love the second one in your pictures. My DH and I purchased a quilt yrs ago and it is what I use on my bed. I will never go back to a comforter! 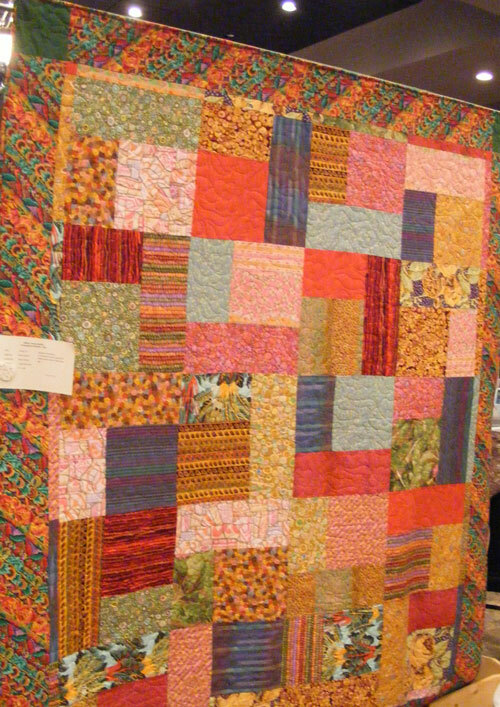 What a fun outing and the quilts are stunning! Amazing talent!